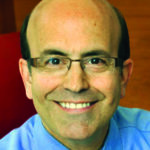 Dr. David Chinsky is the founder of the Institute for Leadership Fitness, a celebrated speaker and author of The Fit Leader’s Companion: A Down-to-Earth Guide for Sustainable Leadership Success. After spending nearly 20 years in executive leadership positions at the Ford Motor Company, Nestle and Thomson Reuters, he now focuses on preparing leaders to achieve their highest level of professional effectiveness and leadership fitness. For more information on Dr. David Chinsky, visit www.FitLeadersAcademy.com. Feedback is a gift that anchors your relationships in honesty. Everyone depends upon the feedback they receive to appreciate and reinforce their areas of strength, and to identify areas for personal and professional growth and development. While there is no question that many people miss numerous opportunities to provide more frequent positive feedback that is specific, timely and genuine, the bigger challenge for most people is providing constructive feedback that reduces the wall of defensiveness that often accompanies their feedback. The seven-step constructive feedback process outlined below offers a framework that converts the typical constructive feedback confrontation into a more productive feedback conversation. Employees (or colleagues or bosses) must first understand the problem that you’re experiencing with them before they can be expected to improve. In this step, you should describe the actual performance and/or behavior and contrast it with the expected performance. To begin, simply describe the problem in a sentence or two. Remain as objective as possible and stick to one point — do not talk about multiple performance issues in the same feedback discussion. Here’s an example: “Tom, I’d like to talk with you because I’ve noticed that you’ve been late to four of our last five meetings.” That’s it. If you can’t describe the performance problem in 30 seconds or less, you don’t know what the problem is yourself. In Step 1, state the performance problem in a concise, simple-to-understand fashion. There should be no ambiguity as to why you’re having this conversation. During the typical feedback discussion, leaders often jump from the description of the problem directly to the development of an action plan. They want to know immediately what the employee is going to do to resolve the problem. To assure meaningful feedback conversations, employees must know how their behavior is impacting others. In this step, convey the unacceptable impact of the behavior, or the unacceptable performance, on colleagues, the organization and perhaps even the individual himself or herself. This second step is very important because many times the employee doesn’t even realize his behavior is causing a negative impact. If you don’t describe how his behavior affects others, he might quickly dismiss the problem, saying something like, “Yeah, so what’s your point? A lot of other people are late, too.” So, rather than just talking about the problem of being late, help him understand the impact he’s having by being late. It’s not just the lateness you’re talking about, it’s the diminished productivity, the lack of momentum, the interruption — and some might even say it’s the dishonoring of the punctuality of the other people who arrived on time. Once you have described the problem and explained the impact, then you can work with the employee to identify the cause of the performance problem you described in Step 1. Don’t jump in and immediately propose what you believe is causing the problem. Let the employee take the lead here. Your job is to ask one good open-ended question that invites him to think about what might be causing his lateness. The goal with this step is to develop a shared understanding about the situation and to identify causes of performance problems. Encourage the employee to discuss the performance from his or her point of view. Once you’ve asked your one open-ended Step 3 question, such as “What’s preventing you from getting to our meetings on time?” or, your job is to let silence do the “heavy lifting.” Do not give in to the temptation of answering this question for the other person. What you think may be causing the problem is not always the case. You will develop a more meaningful action plan once you’ve clearly described the problem, explained the impact and identified the cause. If you simply leap from performance problem to action plan, you’ll miss out on a lot of conversation that might help to customize the specific elements of an action plan. In Step 4, you’re looking for the employee to tell you what he will commit to doing differently to ensure he’s able to get to meetings on time. Step 4 leads to the identification of a solution, a timetable for any follow-up actions and an action plan that is specific and measurable. Before the conversation ends, ensure that both you and your employee are on the same page. This is an opportunity for you or the employee to summarize what was discussed, who has agreed to what, and when you expect these changes to occur. If there is any disconnect, you can identify it and resolve it during Step 5 — not two weeks or a month down the road when you expect something to be done and then realize you misunderstood each other. Take a few minutes to document the conversation, even if this is the first time you’ve had to talk with an employee about an issue — and certainly if it’s the second time you’re having the same conversation. When you document the conversation you’ve had, you’ll have the information available should this develop into a more serious performance management issue. More than likely, you or your employee will make some kind of commitment during the feedback conversation. It’s incredibly important to follow up on these commitments. This helps you determine if the employee has actually improved or changed behavior. Your efforts are wasted if you don’t take the time to follow up as needed. When these seven steps are performed in the order in which they are presented above, you will engage more confidently and effectively when the need arises to provide constructive feedback. In about a minute or less, you will have set up the conversation by describing the problem, explaining the impact and asking one good question to turn the conversation over to the person receiving your feedback. This will ensure that you maintain control of the beginning of these conversations when others may attempt to derail your efforts or move you off point.